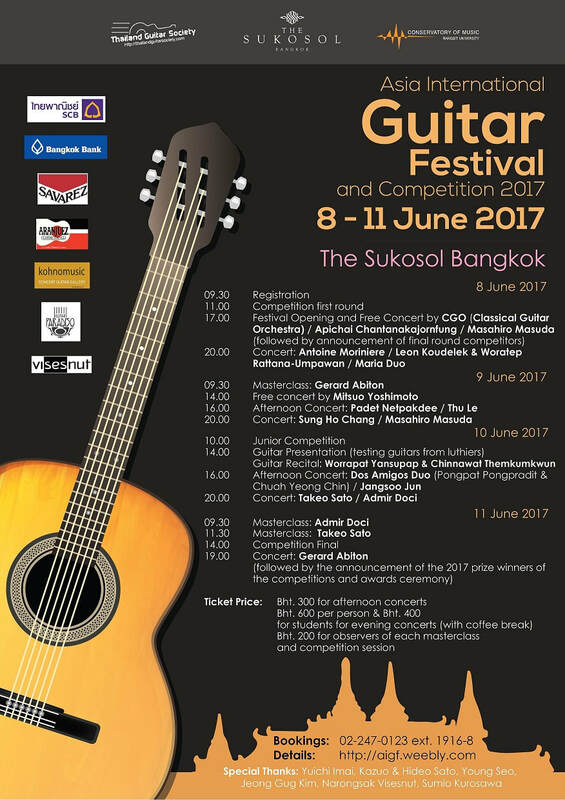 ​ KOHNO MUSIC the best Classical Guitar Shop in Bangkok ! Upcoming Events in Thailand ! Nalin Komentrakarn, Apichai Chantanakajornfung, Sakol Sirapipitanakul and a fifth member Nattachai Chatawong. 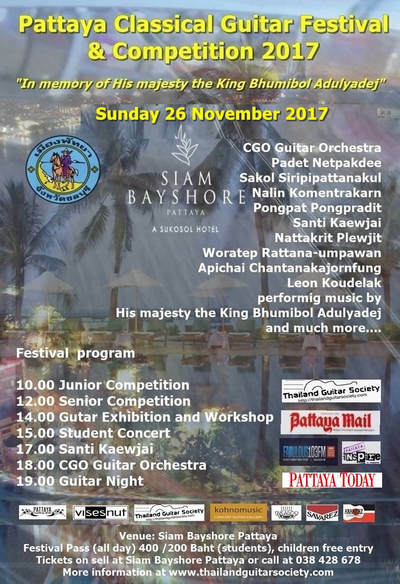 They gave highly acclaimed concerts at the Pattaya Classical Guitar festival 2018 and at other venues in Thailand. 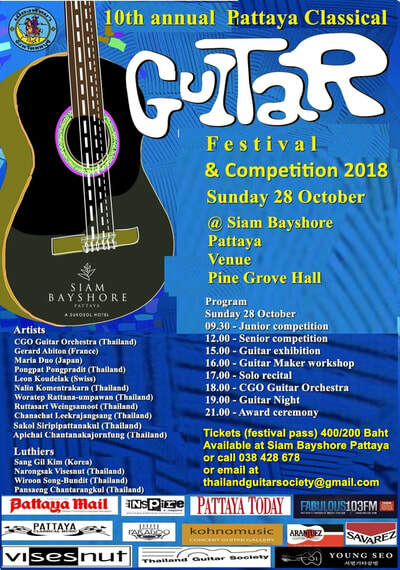 Going to be international, the quartet has a program with transcriptions and original music for guitar quartet. 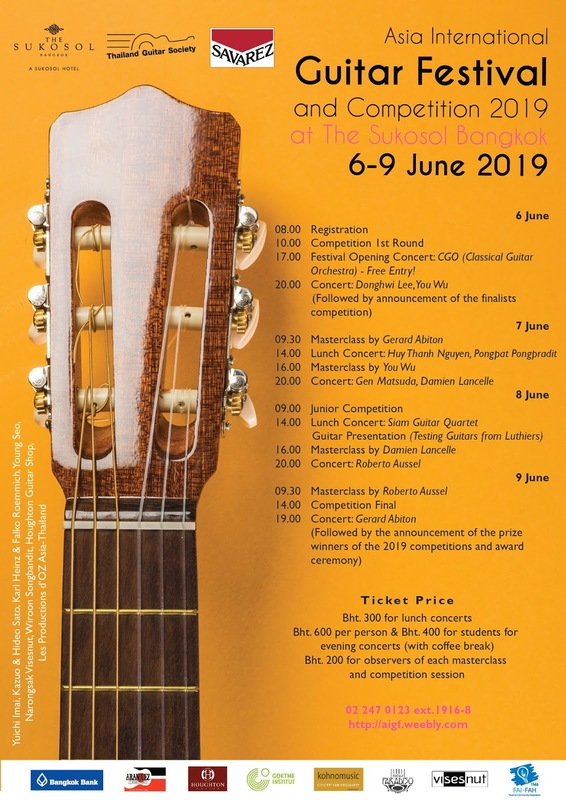 The concert promises to be a first highlight in the Prakanong Guitar Series 2019. In any case not to be missed!. 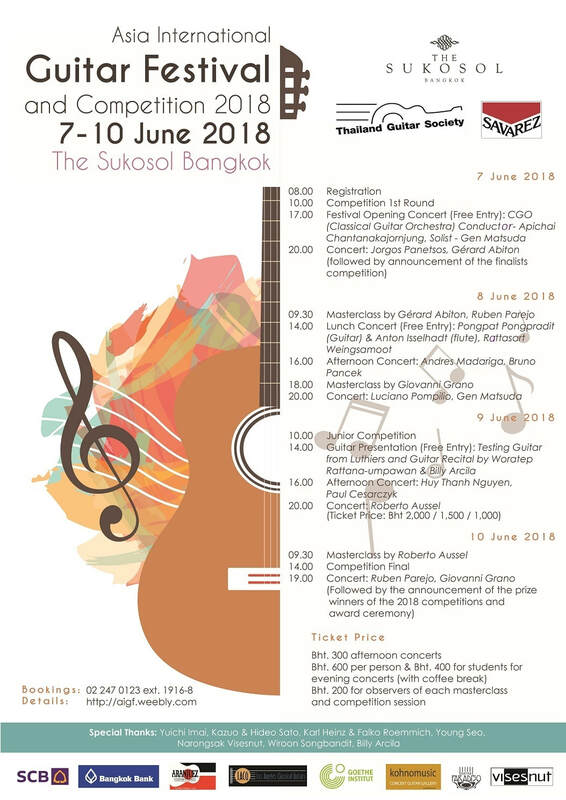 ​Upcoming Festivals / Events in Asia!